See homes available through the program at HUDHomes. 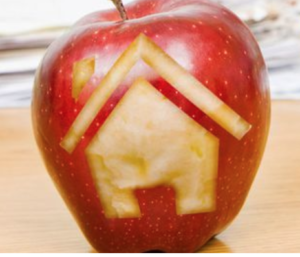 Mortgage bank and lender Supreme Lending’s Educator Mortgage Program offers up to $800 in discounts on closing costs and Realtor® fees on home loans for teachers, as well as a speedy loan turnaround and a $400 donation to the school program of their choice. Intended for firefighters and military veterans as well as teachers, this program discounts 25% of your Realtor fee when buying and selling, as long as you use a Realtor or broker who has signed up as a program affiliate. Applicants also receive reduced closing and home inspection fees. Through a partnership with the United Federation of Teachers, educators may receive a loan through the Union Assist Program at ICC Mortgage. The program offers zero, or reduced, fees for processing or underwriting, as well as financing discounts. For Californians working in an underperforming school, the Extra Credit Home Purchase Program can provide mortgage tax credits to reduce their total owed to the federal government. Participants must be first-time buyers and meet income and home price limits, which vary by county. ‹ I live in California why is it importance to stage my home?